A few weeks ago, some very nice people from Waitrose Cellar contacted me. 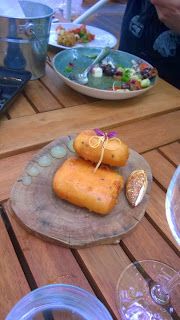 Would I like to try and pair one of their wines with a somewhat more unusual dish? I'm not one to shrink from a challenge - well, unless it involves physical pain. I'm certainly not one to shrink from a challenge when the challenger is offering to send me several bottles of wines to choose my pairing. Contrary to evidence / opinion, I'm not a massive drinker these days so decided to leave this one to fate. 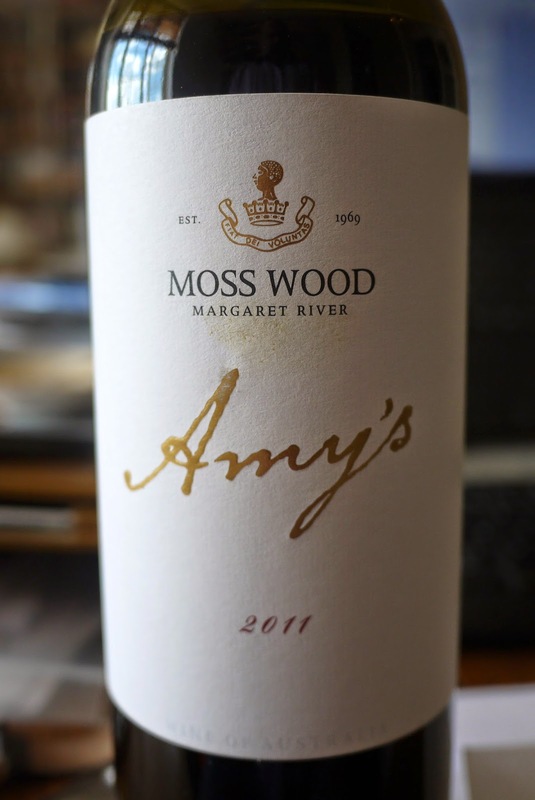 Other bloggers were, I'm told, being challenged so I said I'd just take whatever bottle was left... which is how I got to try and match something different with a bottle of Moss Wood Amy's Blend 2011, from Australia's Margaret River. Elsewhere on the web, it was a similar story. All the tasting notes I found talked of dark fruits - plum, mulberry, blackcurrant – the classically Australian Cabernet Sauvignon hint of menthol and to quaff Amy's Blend with roast meats. Two problems there. It's summer and a straightforward, hearty Sunday lunch didn't really appeal. Also - and more importantly - a roast isn't really what you'd call unusual, is it? I needed to do some lateral thinking but, happily, tangents are one of the things I do best. Thinking of Australia, my dad often tells mouth-watering tales of spit roasted lamb and vast feasts put together by my step-sister’s Eastern European in-laws in Adelaide. With the Amy's Blend being an Aussie wine with European influence, I got to thinking of other European influences on that country, and Italian sprang to mind. Lamb and pasta - now there’s a combination on which to build a recipe. But, you know, it's still not that unusual. Hitting another tangent, I quickly went from "Australia" to "barbecue". While I'm a little barbecued out at the moment (see next month's delicious as to part of the reason why) I have been salivating recently over Francis Mallman’s excellent Argentine cook book Seven Fires. In there, there’s a glorious recipe of rolled lamb shoulder, stuffed with confit lemon, parsley and rosemary, slow-cooked to melting perfection in a bottle or two of Malbec, and served in a reduction of said cooking wine. I made the dish a few weeks ago and it was good, although I'm in no rush to make confit lemon again. But the fact that it had lemon was a surprise. Lemon with red wine? That's not an obvious pairing to my mind but exactly what I was looking for here and so now I had lamb, pasta and lemon to work with. One of my favourite lamb recipes is an old Jamie Oliver one, which is served with fresh mint and chopped capers, instead of mint sauce. The acidity of the capers, the punch of the fresh mint – particularly with the menthol of the Cab Sauv - is a combination that sings alongside the unctuous fatty lumps of lamb. Also, I really like the vinegary hit. In a lot of my cooking recently - probably the barbecue influece - I’ve been playing around with the use of different vinegars to bring out flavours rather than an over reliance of salt and pepper, and I love that little tingle it gives. 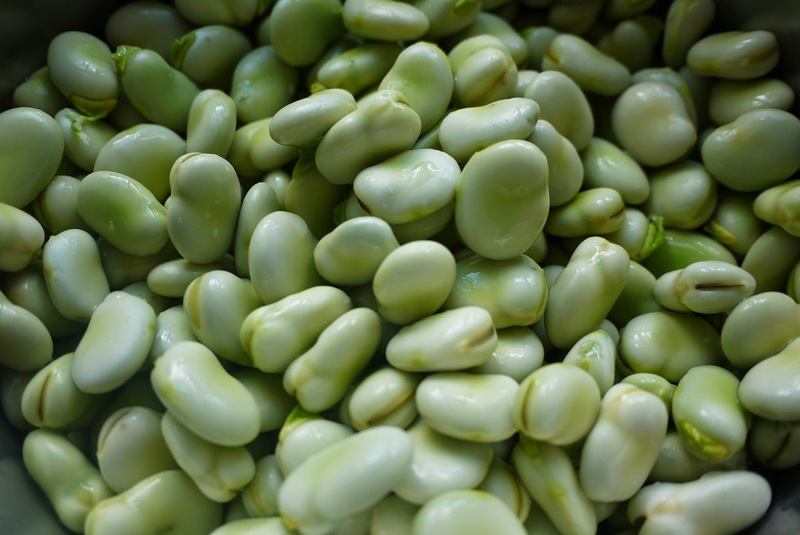 And finally, I couldn't help but think that broad beans needed to feature. This is partly because I absolutely adore them, partly because they're bang in season at the point of writing, partly because the dish was crying out for a splash of colour and a little texture, but mostly because we've got hundreds of the things at the allotment. Thus was born this pasta dish which is vibrant and light enough to eat in the garden over summer, but hearty enough to run through the colder months too. Most of all though, I think it sets the (delicious) Moss Wood Amy’s Blend off a treat. For the shoulder of lamb – best prepared a day or two ahead. 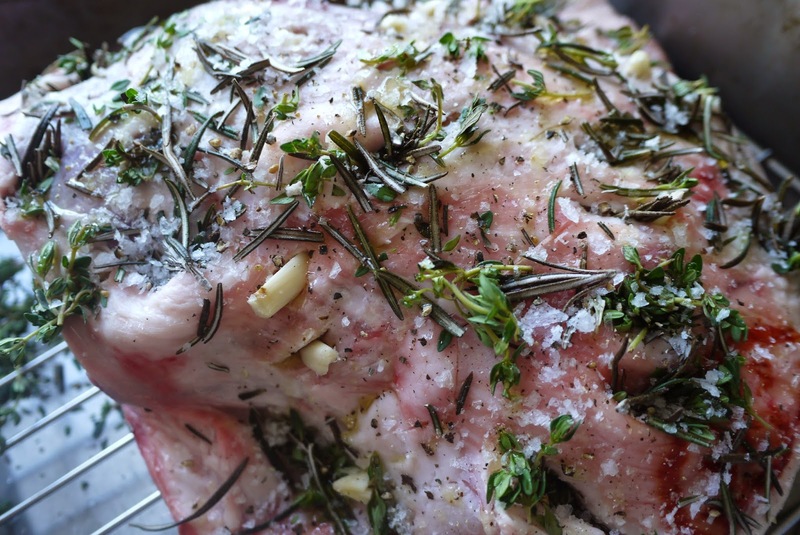 One shoulder of lamb – bone in, bone out, whatever you prefer. As for the size? How many are you feeding? Do you like leftovers? 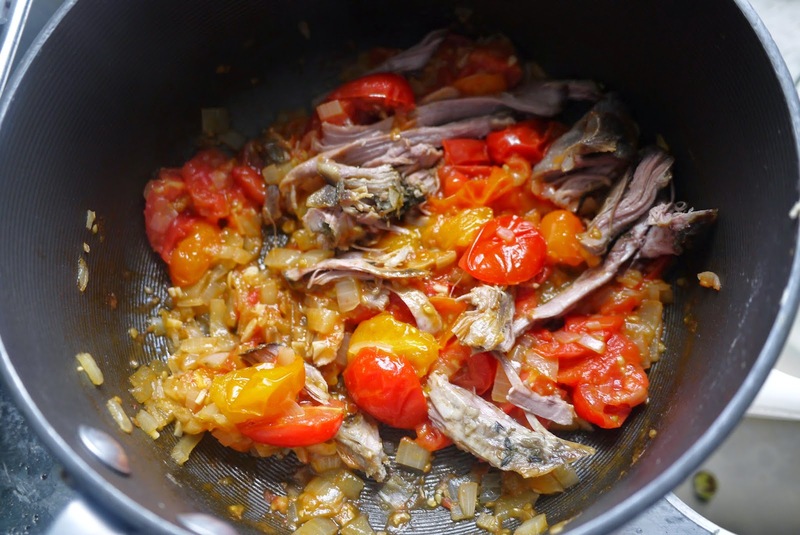 Shredded bits of slow-roasted lamb are one of the best things to have in the freezer at any given moment, as they defrost quickly and are terribly versatile. Lemon Thyme – might as well get that lemon flavour going now, right? Pre-heat oven to the highest setting. With a small sharp knife, take out all your frustrations on the fatty side of the lamb shoulder and stab several holes in it, all over (but be careful if you’ve got a bone-in piece because it hurts when you stab in the wrong place). Take your sprigs of rosemary and lemon thyme, your chunks of garlic and your slivers of anchovy (if you've got them) and stuff the holes with all of these / a few / whatever you can fit. Rub a little olive oil all over the lamb, season generously with salt and black pepper. Stick it in a roasting tin – if you’ve still got lemon thyme and rosemary, lay the lamb on more sprigs of these - cover it with tin foil making sure everything is properly sealed, and then put it in the oven. As soon as it goes in, turn the oven down to 170 degrees C / 325 degrees F / gas mark 3 and set the alarm for at least four hours. After four hours, remove from the oven and check how it’s looking. By this point, much of the fat should have melted away and you’ll be able to pull the lamb apart easily with a fork or your fingers. Shred it into reasonable chunks and strands, put a fist sized portion aside per person and freeze the rest. 12 tomatoes (quartered) or 20+ cherry tomatoes (halved). You could use tinned, of course, but I prefer the real thing. 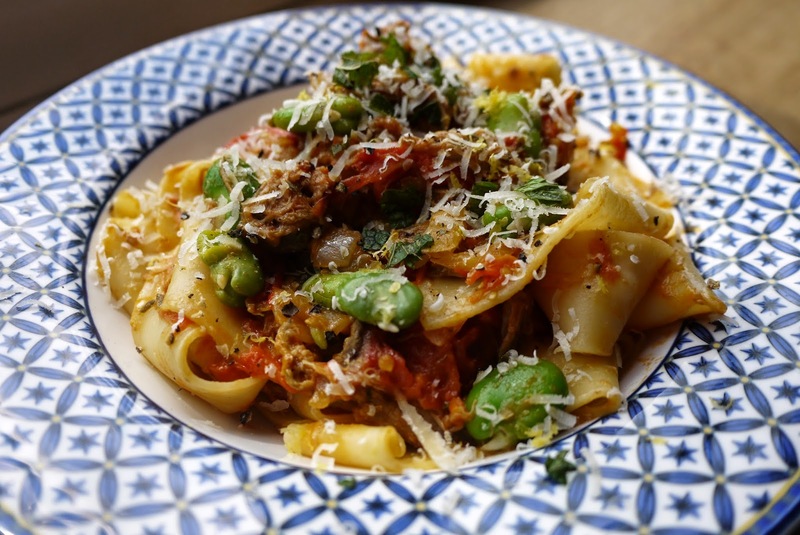 Pasta – I particularly like pappardelle for something like this, lots of surface area and relatively easy to eat in a garden chair using just a fork. In a saucepan, heat a little oil and then add the diced onion. 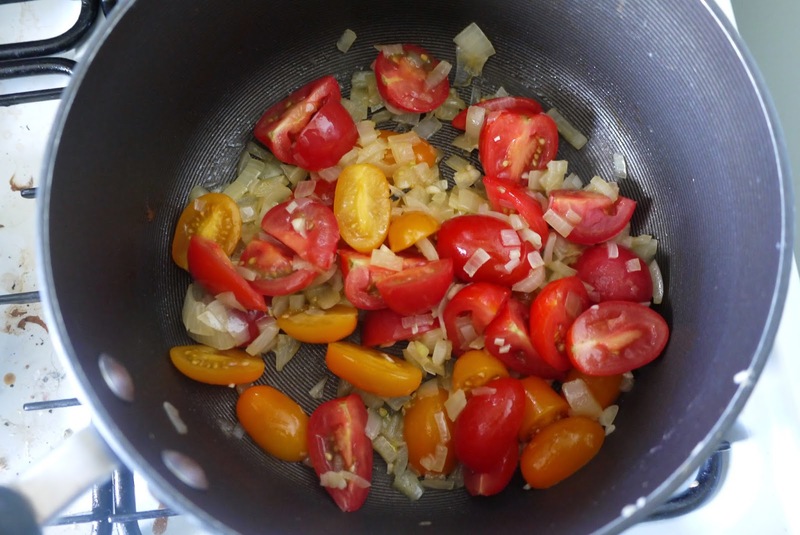 Sweat it down for a few minutes – low heat, a pinch of salt, small saucepan lid over the onion works a treat – then add the garlic and your tomatoes. Let the tomatoes warm through so that they start to pop. As the liquid fills the pan, add the meat and warm it all through, stirring occasionally. Salt and pepper to taste. You can, if you want, grate or peel the tomatoes but I quite like the texture of those little rolls of skin in the finished dish. 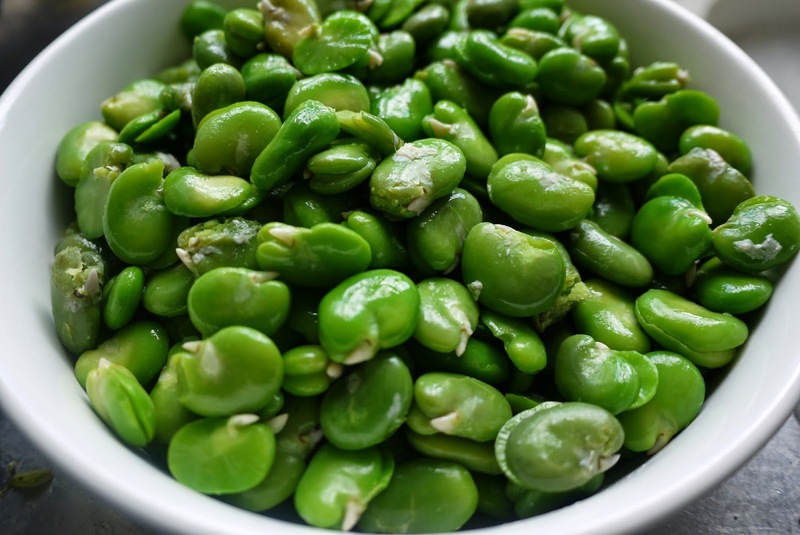 If you’re adding broad beans, steam them separately for no more than three minutes or until the outer “jacket” on some start to peel away of their own accord. 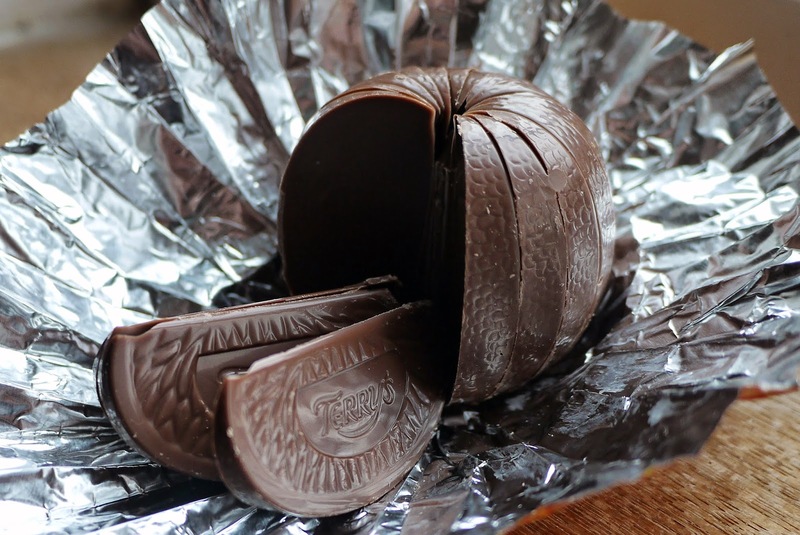 Pod them straight away – trust me, it’s SO much easier to do this when they’re still warm. Do keep the little outer jackets though: chopped up and sautéed with garlic and butter or added to a curry, they’re absolutely delicious. While you’re at it, boil the pasta in accordance with the packet instructions. Add a couple of tablespoons of the pasta water to the ragu, but drain the rest. Toss with a little butter and salt and pepper. Haha wow what a load of food! I don't know where to begin, perhaps with the alcohol?